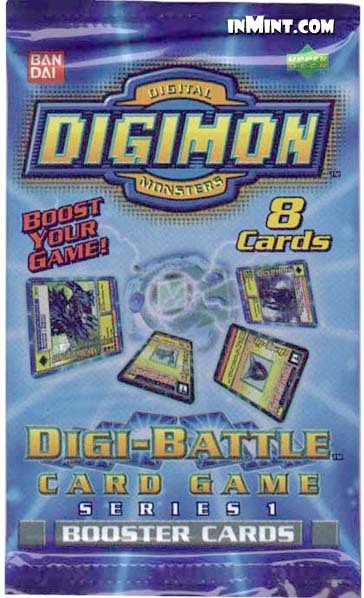 Collect all 108 DIGIMON DIGI-BATTLE BOOSTER CARDS from Series 1 & Series 2! Digimon Booster Cards add power, flexibility, and surprise to your Digi-Battle duels! Boost your game with Digimon Booster Cards! Create the strongest Battle Deck* to prepare for Digimon Digi-Battle! *Each player needs a Battle Deck of 30 different cards to play. 8 Cards. Ages 8 and up.